CASCO — The town is looking toward a major, multi-stage upgrade to Hancock Memorial Field – and getting some federal support in the process. Cumberland County Commissioners were in Casco Monday, July 9, as part of their “summer tour” of communities receiving federal funding through the Community Development Block Grant Program. The county government serves as a CDBG conduit for most towns in Cumberland County. Casco Town Manager Dave Morton said the town has been awarded about $40,000 in block grant funding toward phase two of the upgrades. The town will match 15-20 percent of the grant, he said. Already the foundation for a pavilion has been poured and work has been done on a concession stand at the park, which is home to a single baseball field. 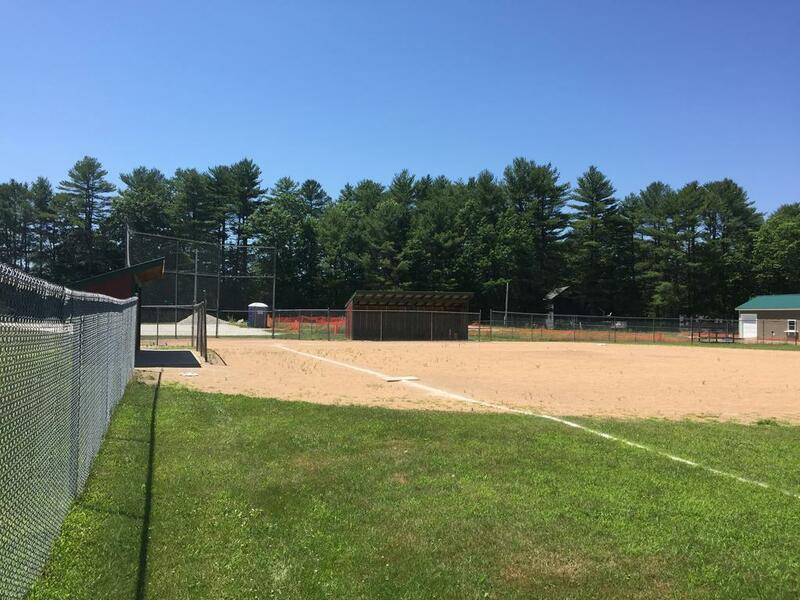 The second phase, according to the town’s 2017 block grant application, which lists the project as the Casco Memorial Park and Recreation Facility, includes septic and well work, electric transformers, finishing and connecting a concession stand to electricity, and tilling and replanting the field. “We’d like to have that portion up and running by next year,” Morton said. Of those various project elements, only the septic work has received a bid from contractors so far. Morton said the federal grant process can be difficult to navigate with a small municipal staff, and cited the Davis-Bacon Wage Act, which sets a minimum wage for work done on federally supported construction project, as a barrier for hiring local contractors. The grant application also outlines the other three phases of the Memorial Park project, which in total is estimated to cost more than $900,000. The other project elements include an new multipurpose athletic field, a pavilion and playground, a paved walkway around the park perimeter, and parking lot improvements. The parcel of town-owned land is 7.25 acres, and was previously home to the Casco Memorial School building, which was demolished several years ago. Casco Recreation Director Beth Latsey said “the sky’s the limit” in terms of programming options that the expanded facility would offer, particularly the addition of a new multi-purpose field. She said there’s been a concentrated effort to go slow on the project and be conscious of the potential costs. Morton said that future stages of the Memorial Park project will be contingent on taxpayer support through the yearly budget process. 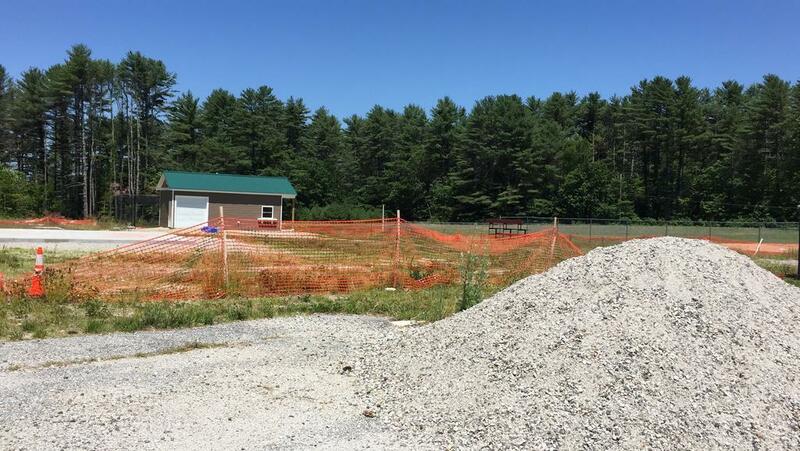 Some work is already underway to make upgrades to Memorial Park in Casco, including the foundation for a new pavilion. The existing Memorial Park facility in Casco consists of one baseball field. The plan for multi-stage upgrades would add a multi-purpose athletic field.